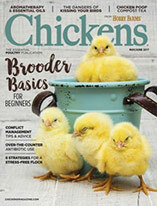 Help out The Livestock Conservancy with its North American poultry census by declaring the chickens on your farm. One chicken. Two chickens. Three chickens. Wait … did I already count that one? I’m not a numbers person, and counting chickens only reminds me of that. And we have too many laying hens to count, really. The nonprofit rare-breeds conservation organization, The Livestock Conservancy is asking you to sharpen your counting skills and help them out with their North American poultry census, looking at chickens, ducks, turkeys and geese. It’s the first poultry census in more than 10 years, so this project will shape up a look at how various breeds have been doing and help direct conservation efforts, which are so greatly needed as biodiversity wanes. 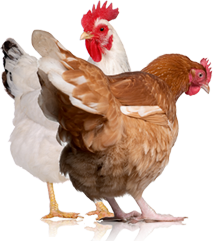 If you keep breeding stock of old landrace and large fowl standard-bred poultry (meaning those recognized in the American Poultry Association’s Standard of Perfection), The Livestock Conservancy wants to hear from you. All chickens matter, of course, but in this case, they’re getting a handle on the approximate number of breeding birds in the reproductive gene pool. That’s what’s really of interest here—the potential to carry on these genetics. Final census results will be published, but individual responses will not, so you don’t have to worry about someone finding out about your prized Saddleback Pomeranian geese you’re keeping hidden from the neighbors. Of course, if you want to be listed as a chicken, turkey, duck or goose breeder, The Livestock Conservancy is happy to do that, too—just let them know when you fill out the census. Take a few minutes to complete the really simple online census form. The Livestock Conservancy does ask that you not fill out the census if you are not actually breeding poultry. 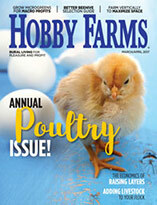 Hobby Farms publishes the info you need to know to run a small-scale, sustainable farm. Unfortunately, the weeks after Easter yield lots of abandoned baby chicks. Follow these steps to care for any new charges you might find in your care.